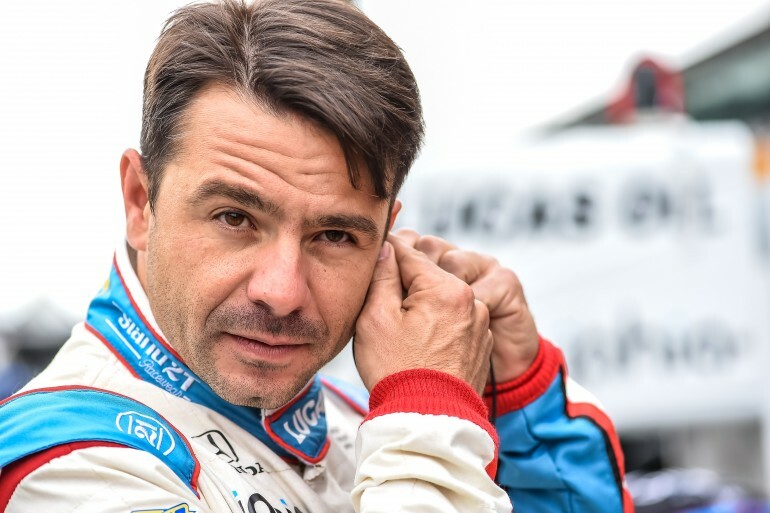 Every once in a while when you look up for the best car race drivers you probably must find Spanish pilot Oriol Servia. The motorsport superstar has been racing since he was very young and reached rapidly high levels on the racing ranks making him one of the most respected drivers from famous racing competition series Verizon IndyCar, since he joined in 2008. Just a week ahead of the competition, Oriol talked to us and opened up about his chances to win the competition and of course about driver Fernando Alonso and his decision joining the Indianapolis Motor Speedway 500 race. This is what Oriol told us about the upcoming race that will take place on May 28th and its importance on the motor sports scene this year. LT: Are you ready for Indy 500? OS: Of course, I think I’m going to have the best opportunity I have ever had to win. I have been lucky to finish on 4th, 6th place and I came out first on the line for a year but I really want to win. I think this team is amazing and I also have a great car engineer, the one who won the competition last year with Rosi. Everybody it’s getting ready to win. LT: What can we expect to happen in general terms at the race? OS: Well. It’ll be really competitive. There are like 20 out of the 33 cars that have great possibilities to win and we’ll be fighting til the end. It’s the race that everybody wants to win and we all put a lot of effort on it. LT: We read your interview for IndyStar where you admit Fernando Alonso’s joining to the competition is one of the most outstanding news in the motorsport field in years. Why is that? OS: Definitely. It’s the most shocking news in the motor show in 30 years. We’re talking about an active Formula 1 pilot and two times world wide champion who will not participate in the grand premier in Monaco which is his biggest race and will go for the America's Indianapolis 500. So, I think that’s a great example of how important is this career. LT: As a pilot, do you think Fernando Alonso could fail this race? OS: It’s a very hard race. It is hard for everybody. We’re talking about 500 miles and 33 cars on the speedway so the winning car has to be the one that hasn’t failed not even one time. We have to run the speedway everyday for 10 days. He’s coming with a Honda motor and he has a great team, he is very talented so he has great possibilities. LT: What’s your biggest challenge and fear for the competition? OS: Well, try not to fail. You never know if you’re going to have it, but I think we are really ready for what’s coming and we’ll place in a good position to win. LT: Can you tell your followers three things they may not know about you?